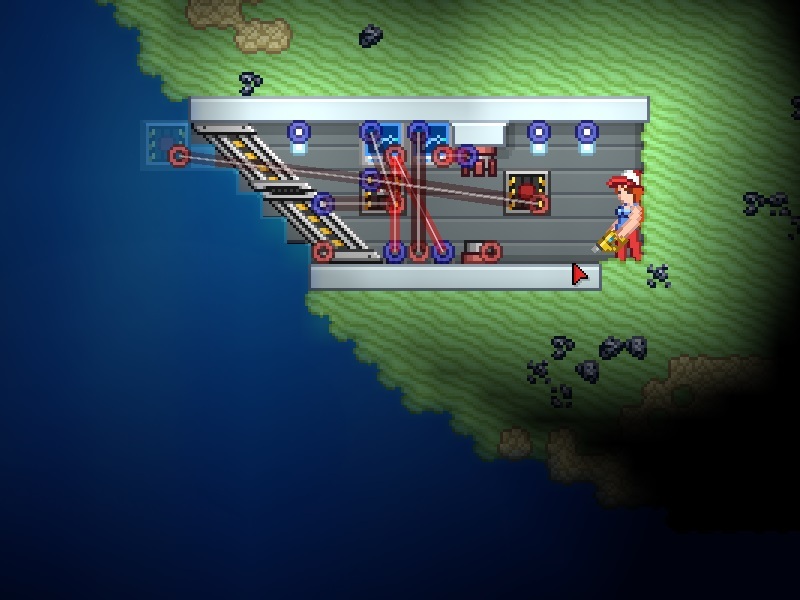 Do you ever wanted to create a submarine base in most of the building games without having to clean water every time you enter ? So this tutorial is for you ! This tutorial will be divided in parts. first off, we will start by choosing the right place to setup, then we will place the doors and the logic and finally we will wire all the thing up. There is two editions of the airlock, one minimalistic, and another version if there is not anymore water in the ocean (It's a tiny modification) . The best place to set up is at the ground of an ocean planet. 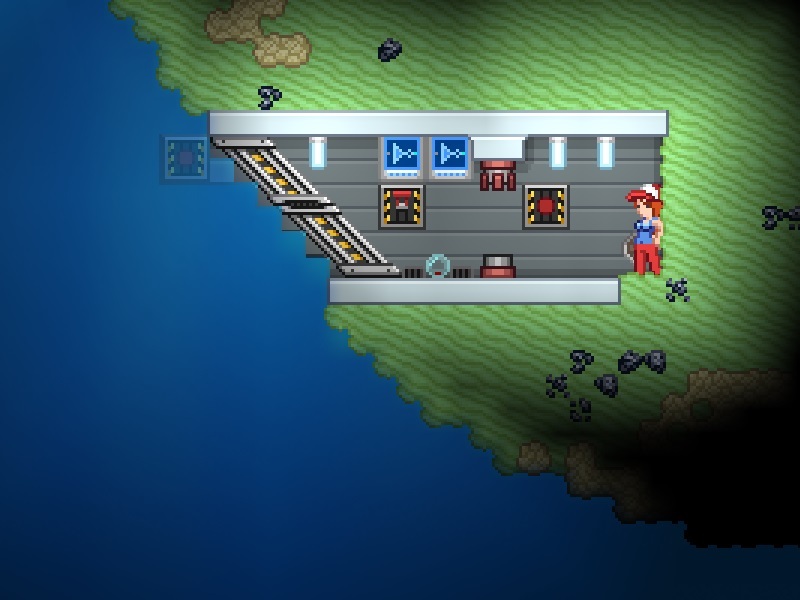 You can also use an island or try it in your own ship. 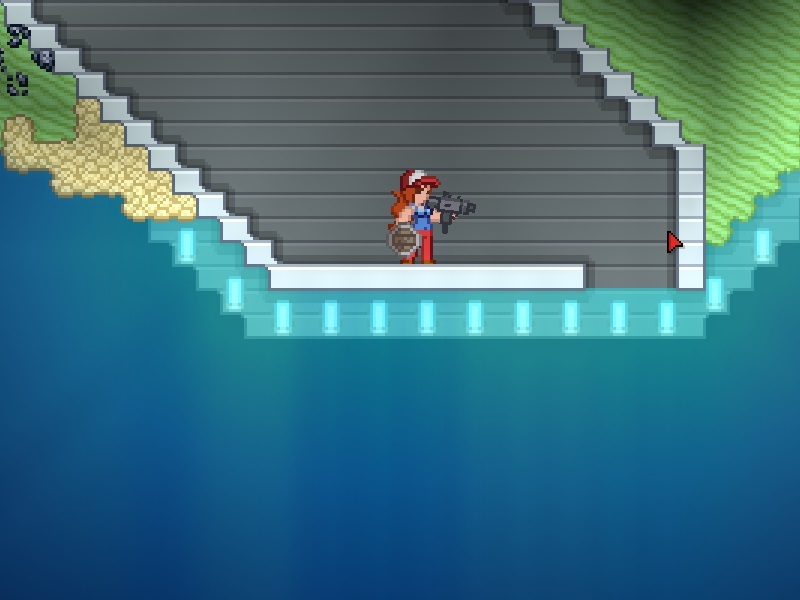 Start by creating like a little house underwater, and cover all the water by block, to make the ocean water be replaced by normal water (The ocean water is infinite and cannot be drained). Connect the liquid sensor to the first inverter and then connect the first inverter to the inner door. Then connect all the buttons to the lever input and connect the lever to the external door. Connect the second inverter input to the lever and the output to the drains. Now you've got a fully functionnal airlock system for your underwater base ! This page was last modified on 4 March 2015, at 18:33.